What does it take to reach the top in business and to inspire others? Adam Bryant of “The New York Times” decided to answer this and other questions by sitting down with more than seventy CEOs and asking them how they do their jobs and the most important lessons they learned as they rose through the ranks. Over the course of extraordinary interviews, they shared memorable stories and eye-opening insights. 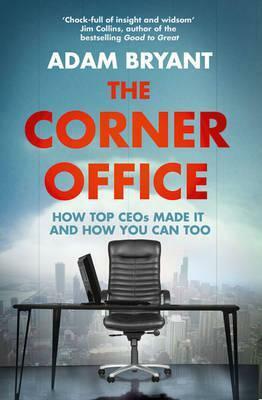 “The Corner Office” draws together lessons from chief executives such as Steve Ballmer (Microsoft), Carol Bartz (Yahoo), Jeffrey Katzenberg (DreamWorks), and Alan Mulally (Ford), from which Bryant has crafted an original work that reveals the keys to success in the business world, including the five essential personality traits that all high performers exhibit–qualities that the CEOs themselves value most and that separate the rising stars from their colleagues. Bryant also demystifies the art of leadership and shows how executives at the top of their game get the most out of others. Leadership is not a one-size-fits-all skill, and these CEOs offer different perspectives that will help anyone who seeks to be a more effective leader and employee. For aspiring executives–of all ages–“The Corner Office” offers a path to future success.